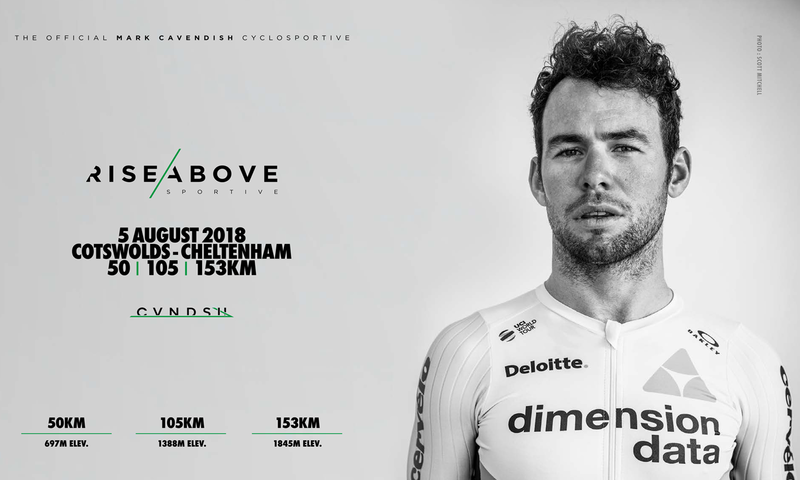 Rise Above, the official sportive of Mark Cavendish, will return this summer with three new and exciting routes around Cheltenham and the Cotswolds Area of Natural Beauty. This year's sportive will provide a challenging test for all riders, with three route options available - 50km, 100km and 150km. Mark Cavendish will once again be the official starter of the sportive, before taking to the roads with the public. The 2018 Rise Above sportive takes place on Sunday 5 August, starting and finishing from Cheltenham race course. Riders can look forward to range of support and services, including mechanics on route, fully stocked feed stations and an exclusive gift bag.